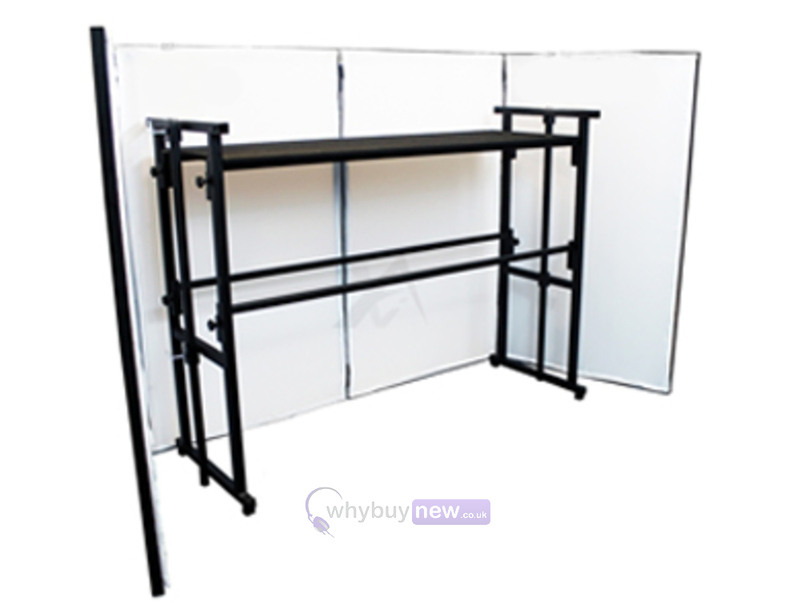 Includes 4FT Carpeted Shelf & Screen Carry Bag! Lime Light Disco Lighting Screen is the perfect frontage for your mobile disco setup. The lycra front cloths can be illuminated from behind to create a host of powerful effects and various lighting patterns. Everything you need is included, the four screens themselves each have a separate lycra cloth and all the fittings required for a quick and easy setup. 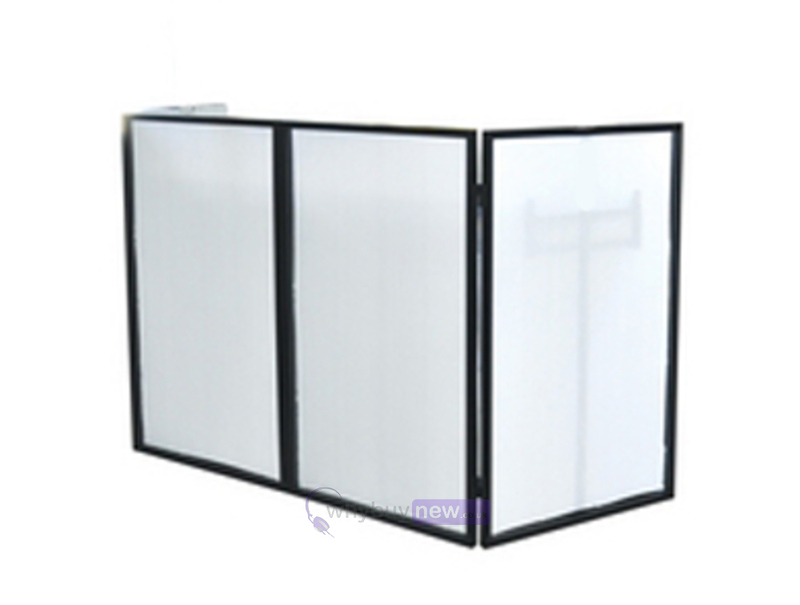 This innovative folding screen folds up to be completely portable and are easy to setup is seconds making them perfect for mobile applications where setup times can be limited. 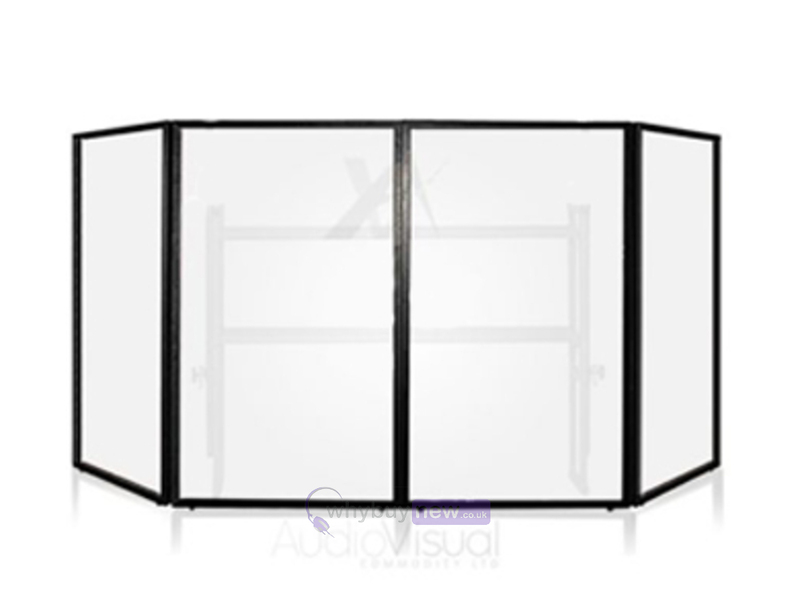 The tough, lightweight steel frame is finished in a stylish black which ensures that this innovative screen looks the part regardless of your event or venue. The rugged finish will ensure that the screen is hard-wearing and will continue looking good for years to come. 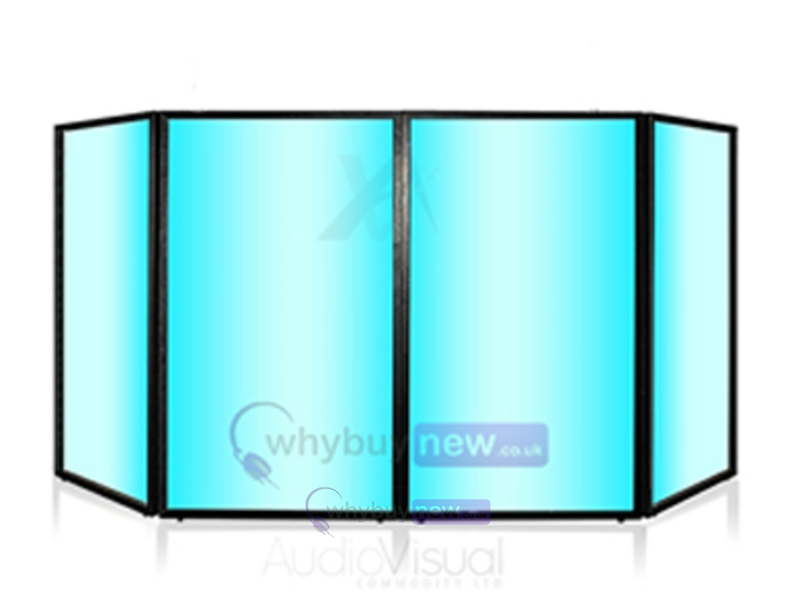 Buy the exciting Lime Light disco lighting screen for your mobile disco setup. Stun the crowds at your next event and make your DJ rig the focal point with the incredible disco lighting screen system from Lime Light. The Gorilla GDT-4 is a heavy duty 4ft disco stand ideal for all applications. Based on the traditional 4ft disco stand design, this superb stand offers you an option of a reliable DJ stand without the fixed height and length lighting bar attached which you find with most other disco stands on the market. This offers huge benefits like being able to position your additional lighting stands in what ever position you like as well as being a more compact choice for ease of transport. Ultimax Deck Shelf for DJ Stands. Smart carpet covered deck boards with Velco dots for rapid fixing and removal from deck stands. The velcro dots are applied to the framework of the stand and because the shelf covering is returned underneath the lower side of the board, the dots grip the board firmly, whilst allowing a very quick removal when required. another great purchase!! I would recommend a second shelf to place some lighting on. Looks awesome with the domin8r 2 on the bottom shelf and 4 equinox pulse tubes just behind the screen.